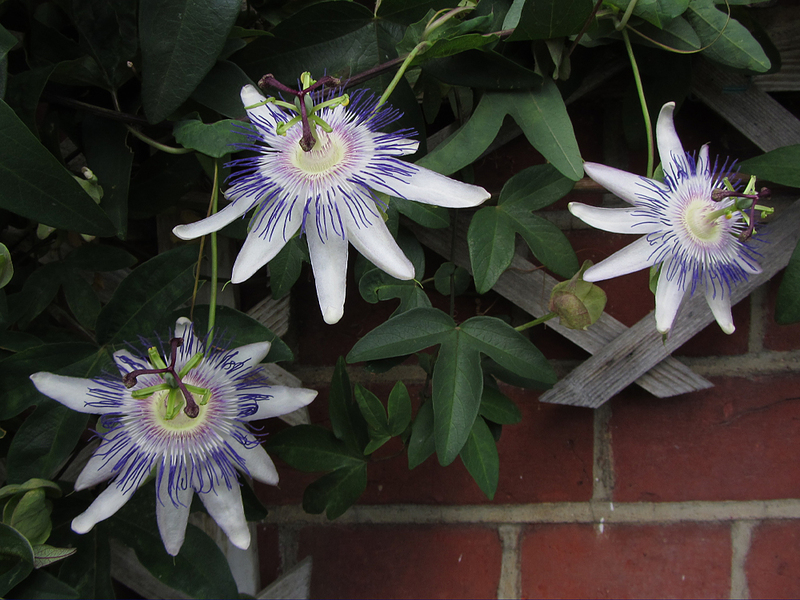 Passiflora ‘Star of Surbiton’. 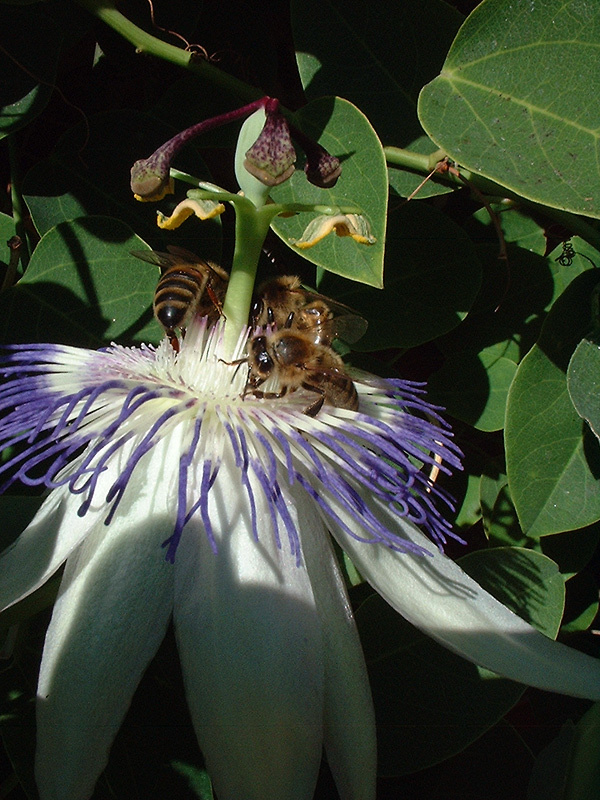 Named in the International Passiflora Register. 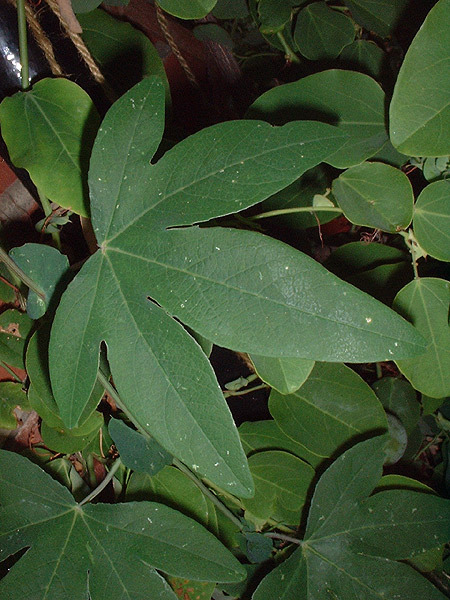 Suitable for container growing or in the ground in a sheltered location. Medium vigour with very variable foliage and very free flowering. 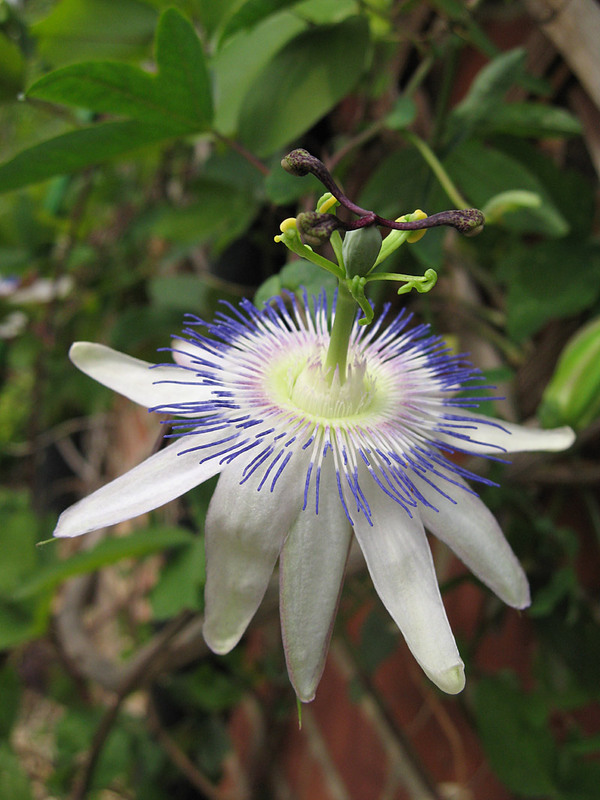 Large flowers, up to 12.5cm across , that stay open longer than other similar crosses. Occasional large decorative green fruit ripening to yellow orange.